Global Studio tried a new model in 2008 – the ‘return model’. With only 25 students, and five mentors, Global Studio returned to work in the township of Diepsloot, starting work on some new projects and continuing with others. 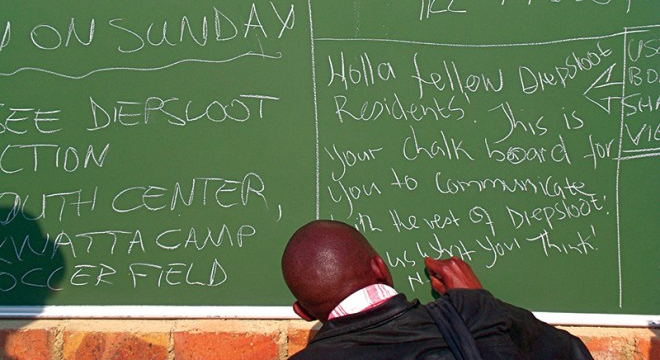 The Diepsloot Arts and Culture Network (DACN) was launched. 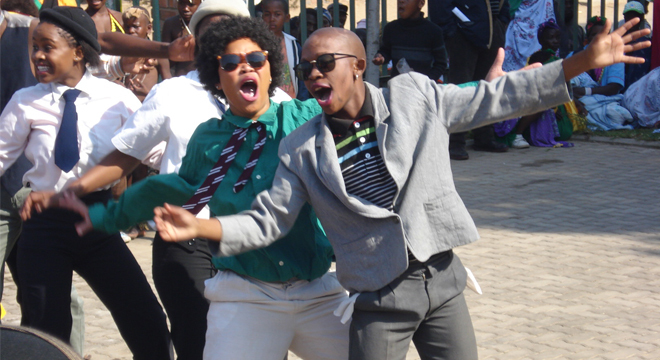 Global Studio returned to Diepsloot Township with a group of 25 students from seven universities, and worked closely with the Community Development Worker, the Ward Councillor and Sports and Recreation officer. GS08 commenced with a field trip to Durban, followed by an Orientation Symposium (July 6-7), held at the Wits School of Architecture and Planning. A community consultation in Diepsloot (July 8) at which some 100 people broke into small groups to discuss proposed projects with Global Studio participants. Global Studio teams formed to develop the projects independently, and to work together with local community representatives. The work concluded in a range of designed outcomes that were entrepreneurial co-collaborations between GS08 teams and community members. 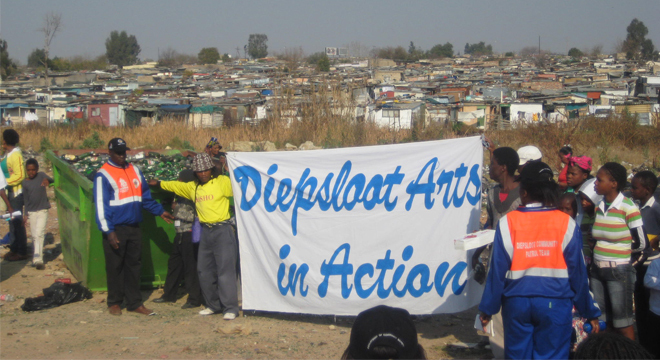 The most ambitious, the July 20 ‘ Diepsloot Arts in Action’ festival was attended by an estimated 1500 people. All the designed outcomes were presented at the Wits School of Architecture and Planning on Monday July 21, also attended by twenty Diepsloot project ‘champions’, the Ward Councillor and the Community Worker.